Depression goes far beyond occasional feelings of sadness and often includes debilitating physical discomfort. Treatment involves a combination of antidepressant medications and talk therapies. The depression definition that mental health experts use is a persistently down mood and loss of interest that affects a person’s day-to-day life, and can even lead to thoughts of suicide. The condition is also called major depressive disorder or clinical depression, and it affects nearly 15 million Americans. 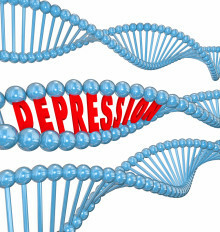 Although depression typically starts in the 20s or 30s, it can affect people of all ages. 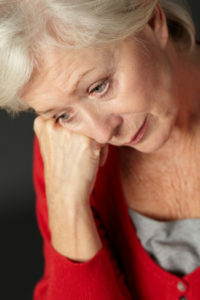 Older adults are particularly vulnerable to depression because of illness and the loss of loved ones. Many different types of depression exist. Postpartum depression is a sad mood that begins in the weeks or months after a woman gives birth. Bipolar disorder alternates between periods of depression and unusually high moods. Seasonal affective disorder (SAD) is a type of depression that emerges during the winter months, when sunlight is in short supply. Identifying depression is the first step toward treating it. Depression symptoms include: feeling sad, anxious, hopeless, guilty, or anxious; fatigue or decreased energy; loss of interest in activities you once enjoyed; trouble concentrating or remembering; trouble sleeping or sleeping too much; loss of appetite, or eating too much; irritability; vague physical symptoms, such as a headache or stomachache; and thoughts of death, or wanting to end your life. Doctors typically diagnose depression by first ruling out medical conditions that can cause the same symptoms, such as a thyroid disorder. Then the doctor will likely do a depression test, asking questions about feelings, sleep, energy level, and other common indicators of the disease.